Rick has been with Strategic Wealth Management Group since its inception in 1993. He currently acts as the firm’s Chief Financial Officer and Senior Client Service Manager. He focuses on providing in-depth client relationship support with emphasis on investment, financial and tax planning. As the firm’s Practice Manager, he works closely with the advisors and staff to continuously build and enhance service standards and office procedures to ensure maximum efficiency and the ultimate client experience. 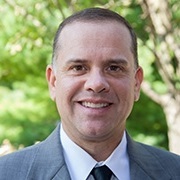 Rick received a Bachelor’s Degree in Business Administration and Finance from West Virginia University in 1992 followed by a Master’s Degree in Business Administration and Accounting from the Katz Graduate School of Business at the University of Pittsburgh in 1994. He is a Registered Representative of Mid Atlantic Capital Corporation and holds the Series 7 and 63 securities licenses. Rick resides in Wexford, Pennsylvania with his wife and two children and is actively involved with his church and community.